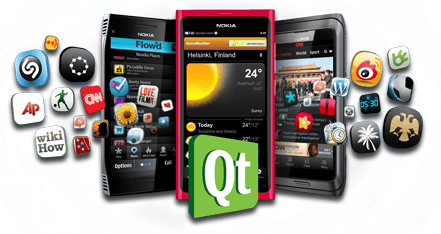 Qt and Windows Phone in the same sentence. It’s not exactly what we’re hoping for. It’s actually (reverse things around) Qt, iOS, and Android developers – and Windows Phone for them. OK, apparently, just for Swedes, Microsoft is inviting you to a seminar on December 14. That’s just three weeks away if you’re wondering. That seminar focuses on the new Nokia Windows Phones and that potential for both developers and users. It’s aimed at those developers working on other platforms, Qt (for Symbian/MeeGo-Harmattan) iOS and Android who might want to try and give the WP platform and Metro design language a go. Topics covered includes marketing, app publishing and other things. They day finishes with developers from those other platforms comparing their work on other platform with WP. You might note that Microsoft has already published a lot of API mapping tools for developers on other platforms that makes it a little bit easier to effectively port your work onto Windows Phone without too much fuss. There’s plenty of support both from Nokia and Microsoft and there’ll certainly be an audience in this market. Now’s a very good time to get in and make a name for yourself on MarketPlace. Thanks Fendy for the tip!